Vietnam has maintained economic growth despite the reduction in mining natural resources, but it must begin to reduce exploitation as resources are running out, experts say. The latest report of the General Statistics Office (GSO) about GDP growth in September 2016 showed that Vietnam’s economy has continued to grow despite a decline in the mining industry. The GDP growth rate in the first nine months of the year was 5.93 percent, lower than the 6.53 percent growth rate obtained in the same period of 2015. This was blamed on the decline of the mining industry. The production index of the industry grew by 0.2 percent in the first quarter, then fell by 5.3 percent in the second quarter and declined further by 6.8 percent in the third quarter. This means that Vietnam no longer relies on natural resource exploitation. Such reliance will not allow sustainable development. The phrase ‘natural resource curse’ was first put forward by Richard Auty in 1993. He pointed out that the resource-rich countries may not only fail to benefit from the ‘windfall’, but also may operate less effectively than countries with less abundant natural resources. Nigeria is a typical example. The country once earned $10 billion from crude oil in 1965-2000, but it has become one of the 15 poorest countries in the world. Nigeria has fallen into the trap of the resource curse. Vietnamese, for many years, entertained an illusion about the country’s rich natural resources, believing that they have ‘gold forests and silver seas’. Only recently, have Vietnamese changed their mind. 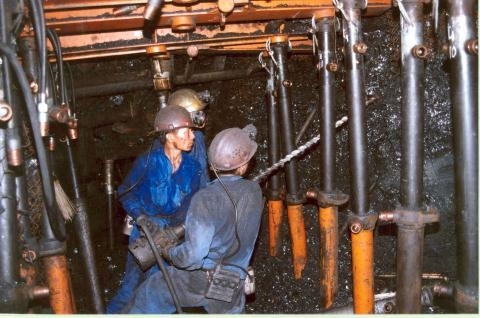 Nguyen Thanh Son, former director of the management board of the Coal Projects in Red River Delta, said Vietnam not only needs to strive to reduce its reliance on natural resources, but also needs to reduce exploitation as soon as possible. However, Son commented that it was too early to say if Vietnam has escaped the ‘resource curse’. “I think Vietnam is just in the early stage of the process of trying to escape the resource curse,” he said. In fact, the decline in the natural resource exploitation is caused by an exhaustion of those resources. Vietnam now bears influences from the world’s economy. Many countries have switched from the hot-development model into the green-development model for sustainable development, which does not rely on natural resources and minerals.